There has been extensive conversations and interest around changing brains within adults. But what if we could positively influence our children by understanding their development and the links between neuroscience and education? What impact would we see in the future if our youth are understood and powerfully and guided into adulthood? Associate Professor Michael C Nagel is an educator, motivator, researcher, author, mentor and parent. He has decades of experience as teacher and behaviour specialist on multiple continents. 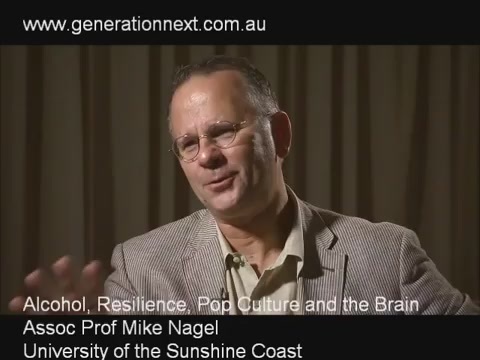 Dr Nagel researches and teaches at the University of the Sunshine Coast in the areas of cognition and learning, human development, educational psychology and human behaviour. He is well respected for his research, writings and presentations and regarded as one of Australia's foremost experts in child development. He has been widely published and is the author of 'Boys-Stir-Us: Working WITH the Hidden Nature of Boys' and 'It's A Girl Thing'. Dr Nagel is also a member of the prestigious International Neuropsychological Society and a feature writer for the 'Child' series of magazines which offers parenting advice to more than one million Australian readers. Dr Nagel presents keynotes, workshops, seminars and industry papers to audiences nationally and internationally. His insights linking neuroscience and education have been well received by parents and educators alike. Dr Nagel is able to take the theory and show its application in a practical environment. As a specialist in this area Dr Nagel is well researched and a complete authority on the subject he presents. Because he understands firsthand the challenges of being a parent and a teacher he develops an extraordinary connection with audiences. Hello Is There Anybody In There - Understanding the Developing Brain. Looks at the development of the brain and the implications of this on learning and behaviour. Can focus on early childhood, primary and secondary school environments or a combination of all. Nurturing a Healthy Mind! Doing What Matters Most For A Child's Developing Brain! Specifically looks at early brain development and how to nurture such development positively. Boys and Girls Learn Differently! Snakes and Snails and Puppy dog Tails, Just What Are Boys Brains Made Of? It's A Girl Thing! Each of the above focus on neurological differences in boys and girls and the impact this has on behaviour and learning. Enhancing Learning and Motivation in Students!